Moving is hard. Even when you’re ready and excited to take that next step, packing, moving, settling and cleaning is emotionally and physically exhausting. 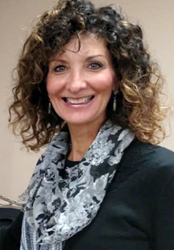 Leslie McKinney recently launched Caring Transitions of North Pittsburgh because she wants to help seniors and busy families navigate that process more smoothly. Caring Transitions is America’s largest resource for managing senior relocations as well as downsizing and estate liquidations. In addition to organizing, packing, decluttering, moving and resettling, Caring Transitions can handle estate sales, liquidations, and preparing homes for market. Caring Transitions of North Pittsburgh serves Northern Allegheny County including Wexford, Sewickley, Gibsonia, Allison Park and O’Hara as well as Southern Butler County, including Zelienpole, Cranberry Township, Mars, Seven Fields and the surrounding areas. “If we can help other families go through the process more smoothly than we did ourselves, that’s success,” she added. Prior to opening Caring Transitions, McKinney spent almost 20 years in corporate America in Pharmaceutical Sales Management where she focused on achieving results through effective people and project management. Before that she worked as a Clinical Dietitian. Her husband, Kevin, is a pharmacist who owned a retail pharmacy for years. “I’m excited that we'll be able to support our family by running a business that’s more about helping people than selling a product. Between what our family has experienced, what we know from working in the pharmaceutical industry and the training and resources provided through the Caring Transitions family, we can be a powerful ally and advocate for seniors and family members,” McKinney said. McKinney is a Certified Relocation and Transition Specialist, a designation bestowed by an independent organization that evaluates providers of senior relocation services. Caring Transitions of North Pittsburgh is bonded and insured and all employees are background-checked. For additional information about Caring Transitions and to learn how the company can help you and your family, call (724)939-6212, email LMcKinney@CaringTransitions.com or visit http://www.CaringTransitionsNorthPittsburgh.com.